Associate Professor Jo Caust is Principal Fellow (Hon) in the School of Culture and Communication at the University of Melbourne and formerly Associate Professor in Arts and Cultural Management in the School of Management at the University of South Australia. She is Founder Editor of the Asia Pacific Journal of Arts and Cultural Management. 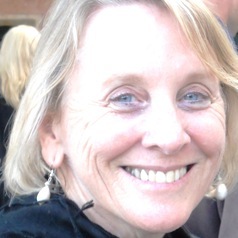 She has published four books; Arts Leadership in Contemporary Contexts (Routledge 2018), Arts and Cultural Leadership in Asia (Routledge 2015), Arts Leadership: International Case Studies (Tilde University Press 2012) and Leadership and Creativity; understandings of this relationship in arts organisations( VDM Verlag 2009) . She is the author of many articles, book chapters, research reports and conference papers and has worked in the arts sector as an arts practitioner, manager, bureaucrat and consultant.